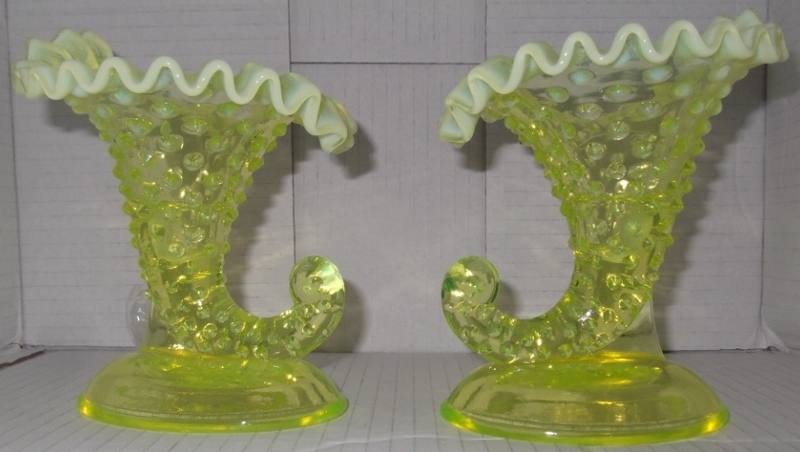 These two “Uranium” Vaseline glass vessels were bought on our GA trip to the USA in 2005. 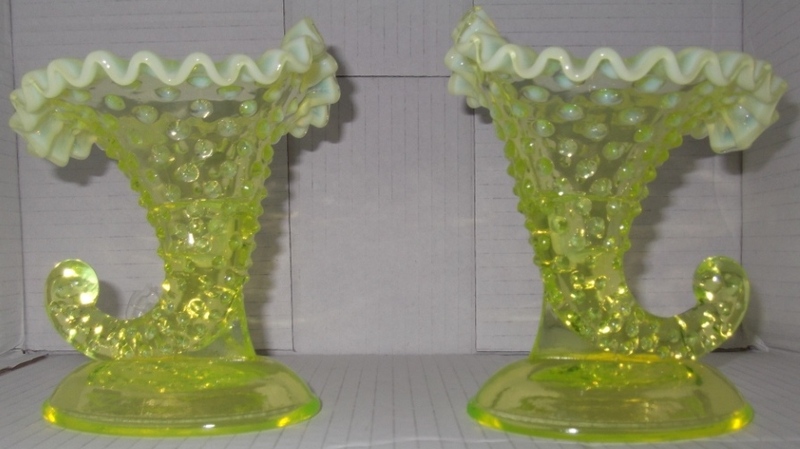 The first night, in October, was spent at the Embassy Suites Hotel, Pittsburgh, which was taken over by the Vaseline Glass Collectors, Inc. club of the USA. Here we all spent an amazing night, Frank buying those two “Horns”. Pearl decided that she wanted to help our funds and donated them to the GA for the auction held at the AGM in Tyntesfield, Bristol. They raised £50 with Judy and Alan Gower making the winning bid. A write up of the USA trip is in the double Cone issue, 72-73, the first ever in colour. A tribute to Frank is to be found on page 14 of Cone 92 Autumn 2010.